Locally owned and operated for over 30 years! Complete selection of Nursery Stock, perennials, annuals, and tropical plants. 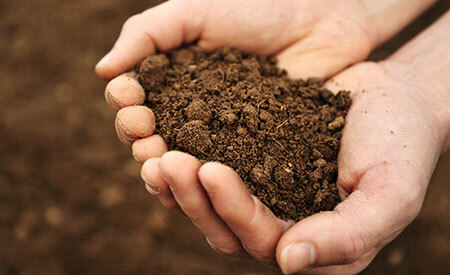 Landscape supplies such as triple mix, limestone screenings, armor stone, mulch, river rock and more. Delivery available. Browse a variety of products available for online purchase with secure payment. Have your bulk material delivered right to your door without having to leave your home or garden. 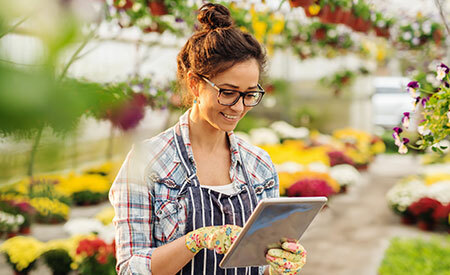 Browse and register for our upcoming classes and workshops at Alliston Botanix. Sign up for our mailing list to stay in the know. 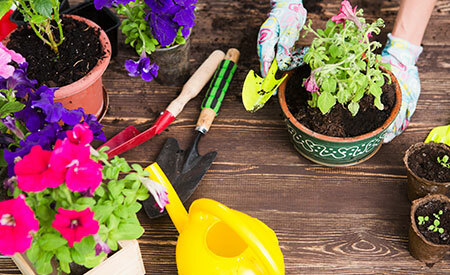 Alliston’s locally owned Garden Centre for over 30 years! 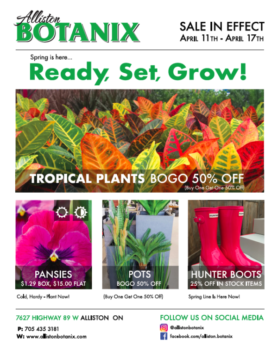 2019 is shaping up to be an exciting year at Alliston Botanix – we are expanding again! 10 years ago, we expanded the size of the store with the construction of our greenhouse. This year, we’re greatly expanding the outside sales areas. More trees, more perennials, more annuals, more shrubs and evergreens! More room to bring in new selections, as well as traditional favourites. More room for an increased selection of natural stone such as armour stone and flagstone. More room for parking! Everything that we do to make us your favourite garden centre, we are doing more of!